Maltodextrin is the product by acid or enzyme hydrolysis with starch as the raw material, and belongs to low conversion products of starch. Any kind of starch can be used in the enzymatic process of maltodextrin. Maltodextrin powder has favorable liquidity, without color, starch or other unique odors, unsweetened or slightly sweet. Even a high usage proportion won’t hide other special flavors or fragrance of original food, so maltodextrin is an excellent carrier. It is easily soluble in water, has moderate viscosity and favorable thickening as well adhesive properties, and works well in preventing the sugar crystallization and stabilizing foam. Besides, it has good emulsifying performance and helps to promote the shaping of products and to adjust the tissue structure of products. For those good properties mentioned above, it has been widely used in the food industry in recent years and an ideal basic material of food. 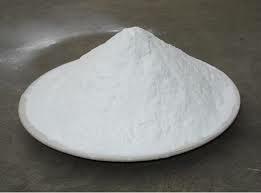 Development and application of series of maltodextrin products is described as follow. Maltodextrin is used in these products including Tang alien drinks, BeShe milk tea, VV soybean milk, Nestle coffee mate, instant lemon tea, Nestle Lactogen milk powder, pearl concentrated solution, and Maxwell mate. The unique properties with reasonable blending help to emphasize the original flavor, reduce nutritive loss, improve the taste and to greatly promote the additional value of products. The baby is a special group of population and the baby food requires richness in nutrition as well as easy digestion, so maltodextrin is exactly the ideal basic material. Maltodextrin enables cakes and biscuits to be full in shape, smooth in surface, clear and crystal in color, good in appearance, crisp and delicious, moderately sweet, not sticky with teeth, without residue, less in defective products and longer for the shelf life. Maltodextrin can be converted in the process into thermoplastic gel similar to fat. In the production of some cakes, it can replace fat and decrease the fat content of cakes. With wide and excellent properties and functions, it will have a broad market prospect. At present, there still exit problems in the production of maltodextrin. For example, the product quality is unstable. Furthermore, there is also difficulty in accurately controlling the DE value and composition distribution of products. Even for maltodextrin produced by the same manufacturer with the same specification, products of different batches often have great differences. In order to meet increasingly growing market demand, priority of the research work is given to the supply of top grade products with precise control of DE value and MWD (molecular weight distribution). Consequently, it is necessary to develop a high-efficiency and controllable production process and this will be a hotspot of process research.